There are many reasons for not investing in a company but debt is one such factor where I very strict because of the horror stories I have seen in my experience over the past decade being in the market. I am yet to see a single listed company to go out of business for anything but debt. Debt is the sole reason of NCLT, Debt is the only factor that can go out of control very easily. How do I see Debt as a touchstone to test Management’s Integrity? Debt is borrowing money from the future. As an investor when I want to invest in a company that can make good profits in the future and not needed to pay the debt. Debt is a factor that can dampen profitability and often the dampening factor is so high that all the profits are paid as interest turning into a loss-making company. You aren’t investing in a companies ability to convince the bank to give them money but in management’s ability to profit. So debt is a very good indicator of management’s ability. Good management knows the impact of debt and so they will never take more than the business can pay off. Not so good management won’t focus on how much the business can pay back but will decide based on how much debt they need. 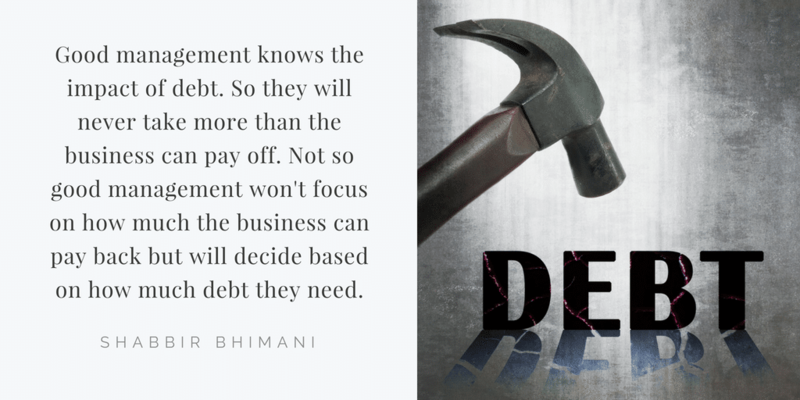 Always remember, debt is a good indicator to understand the management. As a shareholder of the company, I like to be part of the profit than to buy the companies debt. When I am investing in a company, the debt to equity ratio of the company helps me analyze how much of the companies debt I am taking on my shoulder. If the company has a debt to equity ratio of 0.6, I assume 60% of the companies equity is debt. So whatever premium I am paying for a companies share, it is for the other 40%. 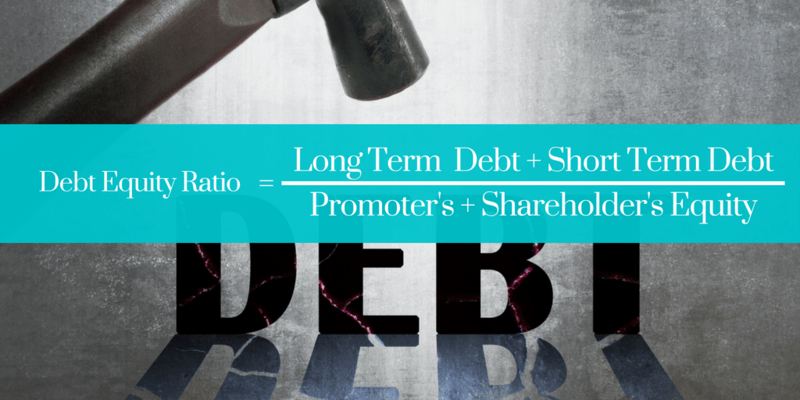 So a lower debt to equity ratio means the company has a higher portion of equity and a lower portion of the debt. It may not be the right way to look at things financially but this is how I prefer to be looking at the debt. So once your view is, you are buying companies debt, you will avoid those companies where they have more debt than equity and you will avoid those wealth destroyers of the past decade like Punj Lloyds and Suzlon. Here is the debt to equity ratio of some of the companies where time and again I have seen the debt a concern. 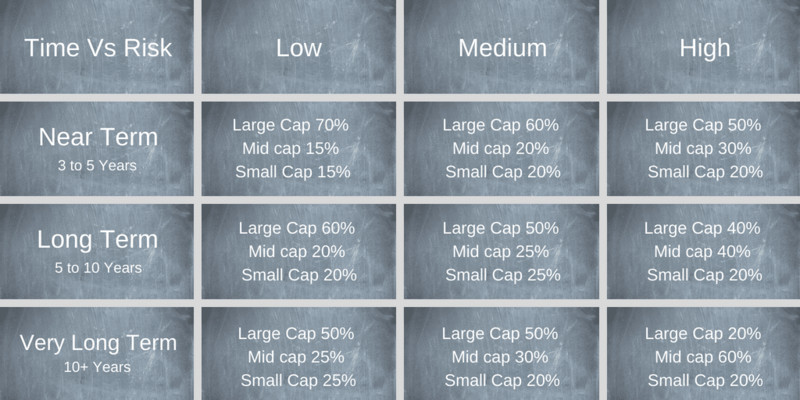 In fact, if any of the stock in your portfolio is significantly down, check the debt to equity ratio of the company. Companies reported as fraud in the past all had a higher debt to equity ratio. It doesn’t mean higher debt to equity ratio is an indication of an upcoming fraud but an increasing debt should raise the needed flags. When Can Slightly Higher Debt be Consider? I personally prefer it to be lower than 0.4 but often 0.6 is also worth considering if the company is profitable despite high debt and is taking steps to lower the debt. If you want to consider a company that has higher debt, look for interest coverage ratio. Ideally, it is safe to avoid companies with higher debt to equity ratio and lower interest coverage ratio.